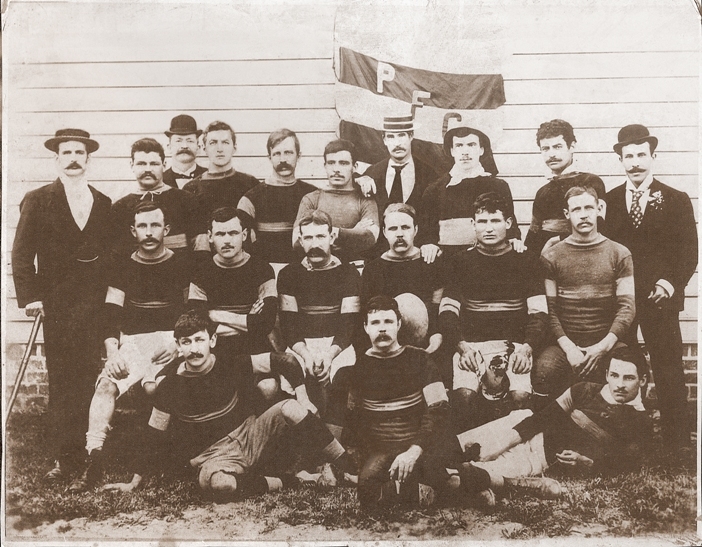 The Sydney rugby institution that is the Petersham Football Club first took to the playing fields in the winter of 1883, the year after the first ever intercolonial test between New South Wales and Queensland and the year before the first ever New Zealand representative side visited Sydney to play three tests against the locals. 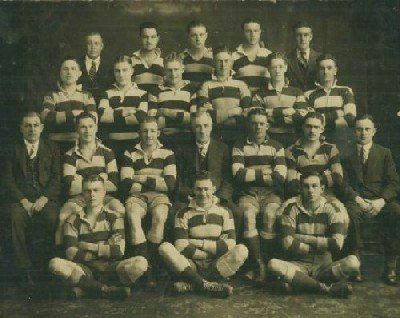 At that time, Sydney club rugby was organised on two levels, known simply as Senior and Junior. The Senior club competition had been running since 1874, but Junior contests prior to the mid-1880s were somewhat disorganised. In fact, the Southern Rugby Union only started involving itself in Junior rugby in 1882, and did not get around to establishing a formal competition for Junior clubs until 1886. By that time Petersham had affiliated to the Union, and was a participant in that first official second tier competition. Over the next few years Junior football continued to grow in popularity, and the new competition had to be regularly expanded to accommodate a rapidly increasing number of clubs. Petersham became entrenched at the top level and contested every First Junior competition from 1886 to 1895, winning it in 1889 and making the semi-finals on four other occasions. During this period the club also boasted an impressive role of Junior representative players and supplied a steady stream of quality footballers to the Senior competition. Two of these, Arthur Braund and Rush Nelson, later went on to play many tests for New South Wales and, in the latter case, Queensland. By the late 1890s however, the Sydney rugby scene was changing. In 1897 a new body, the Metropolitan Rugby Union, had been formed to oversee the Sydney club competitions. Part of its brief was a rationalisation of the existing club system, the theory being that a smaller number of larger clubs would be easier to administer and provide a higher standard of rugby at the top level than the large number of small clubs currently playing. A natural consequence of this approach was to be the extinction of a large number of Junior clubs, and indeed by the start of the 1898 season over twenty founding members of the new union, including the entire Fourth Junior competition, had disappeared from its books. Petersham, who had been suffering from a drain of quality players to the Senior competition anyway, was a more significant and probably unintended casualty of this policy. Fortunately however, the club was strong enough to survive the setback. While most of the Junior clubs disenfranchised by the Metropolitan Rugby Union from 1897 to 1900 simply ceased to exist, a few, including Petersham, continued to play amongst themselves outside the jurisdiction of the Metropolitan and New South Wales Rugby Unions. This competition was formalised in 1901 as the City and Suburban Association, the direct ancestor of modern Subbies rugby. Petersham is the only surviving founding member of that competition – the basis of our claim to be Australia’s oldest Subbies club! Petersham played in the new competition from 1901 to 1905, winning it in 1904. One of their opponents during those years would have been one H.H. Dally Messenger, who played in the City and Suburban Association competition for the Warrigals Football Club before progressing to Wallaby and Kangaroo honours. In 1906, Petersham followed the example of previous City and Suburban premiers and switched to the Metropolitan Rugby Union’s Borough competition, which had been established in 1902 to counter the threat of the new rebel union. Petersham played in the Borough competition for two years, until it was discontinued at the end of the 1907 season. At this time the club ceased operation for the first time since its inception, and there follows a gap of some years before becoming one of the first Sydney clubs to reform after the Great War. This is the only discontinuity in the history of the club. The re-establishment of New South Wales rugby in 1919 saw some major changes in the administration of the sport. Neither the City and Suburban Association nor the Metropolitan Rugby Union were reformed, but rather the New South Wales Rugby Union took control and established a new combined competition. Petersham rapidly rose to prominence, being promoted to First Grade in 1922. Unfortunately the club’s only flirtation with senior rugby was anything but auspicious, with its only two competition points coming from a final round forfeit by the University of Sydney. Consequently, Petersham was dropped to Third Grade, which they immediately won, and were subsequently reinstated to the Reserve Grade B competition. The Kentwell Cup had been presented to the winners of this competition for the first time the previous year, and so began Petersham’s long association with that coveted trophy. In 1929, the New South Wales Rugby Union split its competition in two, forming separate District and Non-District competitions. Petersham stayed with the Non-District competition, which was reconstituted in 1933 as the Metropolitan Sub-District Rugby Union. In 1934 Petersham won the Kentwell Cup for the first time, defeating Roseville in the grand final. At this time the New South Wales Rugby Union was looking to fill a vacancy in the District competition, and so dominant were the Petersham and Roseville clubs that it was decided whichever of them won the Kentwell Cup in 1935 should be promoted forthwith. Needless to say the pair met in the grand final once more, but this time Roseville took the honours. They subsequently merged with Chatswood and Gordon to form the Gordon District Rugby Club. Petersham remained in Subbies. 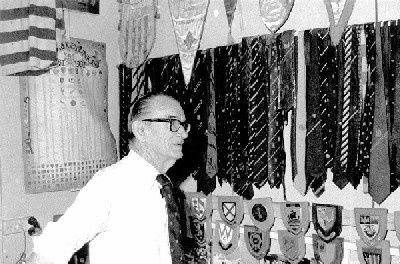 After the Second World War, Petersham came under the patronage of the famous and mercurial Ron McLean, a veritable legend of Subbies rugby. Ron first pulled on a boot for Petersham in 1935, and later went on to serve as club president and secretary for a total of 47 years! His contributions to the club were manifest, but probably the most significant was the instigation of the famous Petersham World Tour. Petersham had been a touring club since the 1880s, but in 1966 it became the first club side in world rugby history to actually circle the globe on a football tour. The feat has been repeated on numerous occasions since, and the various touring sides have boasted many prominent New South Wales and Australian representative players. The competition was reorganised over three divisions. 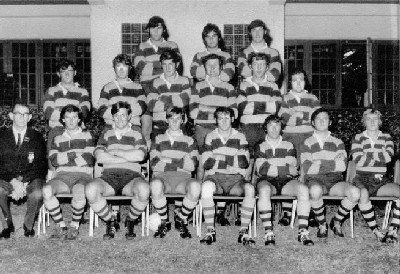 Petersham entered the 1st Division, and in 1972 made the Kentwell Cup grand final for the third time, only to lose it to Hunters Hill. However they made up for it with a win over Lindfield in 1973, then backed up to exact vengeance on the black and white hoops in 1974. This side included many top quality players, and is one of only a small number ever to win back to back Kentwells. At the end of 1974 however, an internal dispute saw many of the dual premiership players leave the club, and within two years Petersham had dropped to 3rd Division. Thus began a long period of exile in the lower divisions. This was a tough time for the club, and ultimately saw it on the verge of extinction. However a century of rugby breeds resilience, and tough times seem to bring out the best in Petersham. The 1993 season saw both a committee reshuffle and an influx of new players. Over the next couple of years the club progressed steadily, and eventually found itself back up in 3rd Division in 1996. There followed a period of success, winning the Campbell Cup in 1997, the Farrant and Nicholson Cups in 1999 and the Clark, Farrant and joint Campbell Cups in 2000. The latter year also saw the club win the Keith Harris Shield for the 3rd Divison club championship and achieve promotion to 2nd Division. The sojourn in 2nd Division was not as successful as would have been hoped however, as the club gradually lost its recent momentum and started to slide. The period had its highlights, in particular the establishment of a highly successful U21 Colts team, but overall the club failed to live up to expectations. The adventure ultimately came to an end in 2005 after a disastrous run of injuries and plain old bad luck finally took its toll and saw Petersham relegated back to 3rd Division. 2006 was a much more successful year, with the club returning to winning form. 3rd Grade and 4th Grade both made the finals with the 3rd XV subsequently winning the Campbell Cup over Blue Mountains in one of the biggest grand final upsets of 2006. This was followed in 2007 by Farrant and Nicholson Cups. 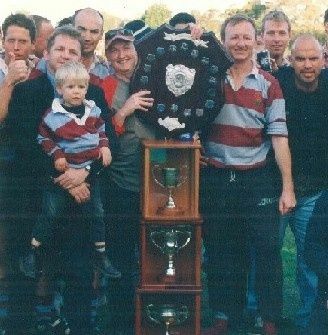 2008 was celebrated with Petersham Rugby’s 125th anniversary. The multitude of off-field events celebrating the club’s historic milestone was manifested with tremendous success on field with all four grades showcasing in the 3rd division grand finals in what must have been the worst rugby conditions in Sydney. Unfortunately the club only walked away with the Farrant and Campbell cups that day, however the entire 5 grades celebrated the unique and proud history of their beloved club in worthy style.